Sign your team up to a unique girls hockey cup of the highest quality! Färjestad BK Hockey Alliance continues to build on the success from the previous two years. Last season 10 teams competed in the 2nd edition of Girl Power Cup. Make sure you don’t miss your chance for a girls cup of the highest quality in Värmland! QUALIFYING PLAY, 4-5 Nov: Teams are placed into 6 team groups, all teams in the group play each other, 5 games in total. PLAYOFF PLAY, 6 Nov: Depending on team placement in the qualifying play playoffs in different levels are formed. Quarterfinals followed by semifinals, final and bronze medal game. Registration to Girl Power Cup is binding and the Registration fee is not refundable. Registration fee will be invoiced upon registration. An invoice for the Entry fee will be sent after the tournament. The Entry fee is refundable up to 50 %, in case of disease certified by a doctor. Färjestad BK Hockey Alliance reserves the right to choose participating teams in the event of a full tournament. The Registration fee will in this case be refunded. Incl. hard floor accommodation (e.g. school). Meals included: 2 breakfast, 3 lunch, 2 dinner, 2 night snacks. We also have price packages for upgraded accommodation (hotel, hostel, cabins etc.) 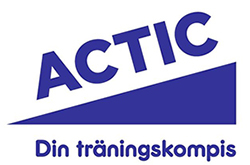 For more information please contact Daniel Samuelsson, Communications manager at Färjestad BK Hockey Alliance: daniel.samuelsson@farjestadsbk.se.